YOU MUST KEEP SPEAKING THE WORD OF GOD! This is where prophesying or speaking the word of God proves to be important. As Christians, we ought not to be quiet under any circumstances. We must speak forth God's word to every situation of our lives because the word of God our your mouth is God talking. This is what God expects us to do. When we speak forth God's word to our situation or circumstances, the power of God is activated. In the book of Ezekiel God took Ezekiel out to a valley full of dry bones and make him walk round it, God then asked him if the bones can live again. Yes, sure, God is all knowing but He did that to teach us something. When Ezekiel told that He alone knows if the bones will live again then God assuredly says: “the bones will live and all the people will know that He is the Lord.” (Ezekiel 37). Therefore, whether a Church or marriage or business or economy is dead, God can still turn things around for good in a twinkle of an eye. Because it doesn't matter how deteriorating the condition or circumstance has become, God can still change things for the better and the dry bones with God will live again. Isaiah 41:10(KJV) Fear thou not; for I am with thee: be not dismayed; for I am thy God: I will strengthen thee; yea, I will help thee; yea, I will uphold thee with the right hand of my righteousness. This declaration is so important and in the New Testament, Apostle Paul in Hebrews 13:6(KJV) :So that we may boldly say, The Lord is my helper, and I will not fear what man shall do unto me. This is how it goes. When God says, I am your helper, you must then declare, "the Lord is my helper." This is our to activate the power of God. Dear Heavenly Father, thank you for being my helper. Thank you for being my light and my salvation. Thank you for always being faithful to your Word. 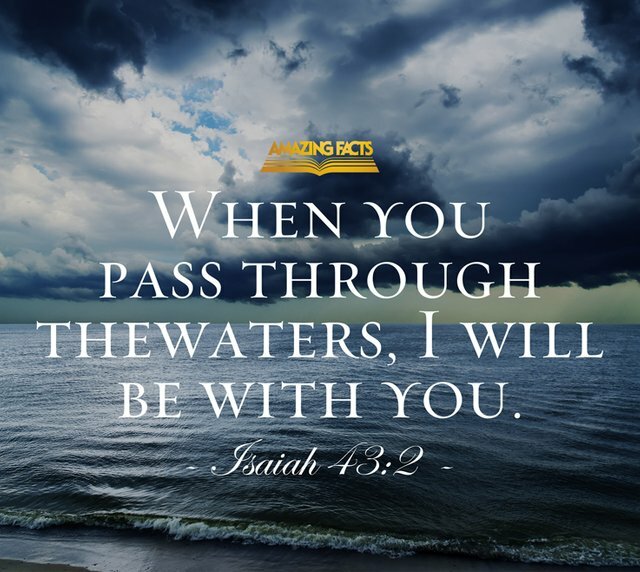 And I declare, no matter the trials or challenges that comes my way, I will always be victorious according to your Word that says, "When you pass through the waters, I will be with you; and when you pass through the rivers, they will not sweep over you. When you walk through the fire, you will not be burned; the flames will not set you ablaze." Therefore, you are with me all day long, hallelujah. Thank you for answering my prayers in Jesus' name, Amen. No, God isn't talking simply because we recite the word of God. And nobody today is a prophet. So someone who claims to be prophesying is just making stuff up as they go along. Yes, God can perform miracles but God rarely works that way. I've never seen one. I don't know anyone who has.